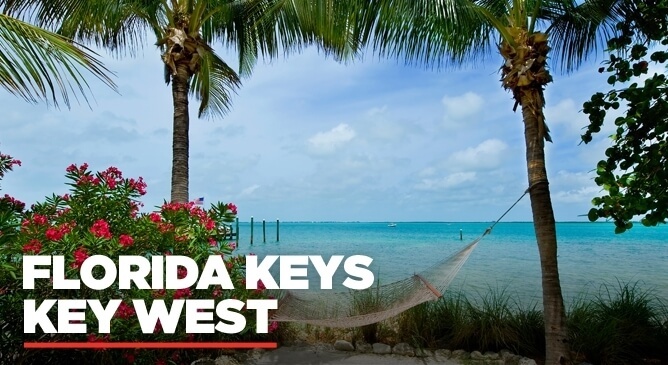 Key West Is full of cuisine from all over the world! From great Italians like 'La Trattoria' on Duvall Street to 'Alonso's Oyster Bar' on Schooner Wharf to taking an all-inclusive sunset dinner cruise. There are also plenty of contemporary American restaurants where you can eat indoors and move outside for Happy Hour. The Sunset Bar & Grille is a great place to watch the sunset and a perfect ocean front venue sitting at the foot of the Historic 7 Mile Bridge! It looks like a thatched south-seas tiki hut and has a large oceanfront deck with one of the largest pools in the Florida Keys! The food is excellent offering fresh seafood, steaks, chicken, burgers, raw bar, sushi, salads and whole more. In Key Largo try Snappers for alfresco dining on Seaside Avenue. Fresh seafood is prepared with a great fusion of Mexican, Caribbean and Cuban flavours. Coconuts Restaurant on the Marina del Mar has great food and great entertainment; like dancing and diving! Marathon is located right in the middle of the Keys just before the 7 mile bridge. While it is a resort in its own right it is a great place to stop and eat and so is Blue Heeaven caffee. The Highway Cafe at Rainow serves up seafood and salads with breathtaking views. Tom's Harbour House is a spacious harbour front restaurant famous locally for Tom's Seafood Tower and prime steaks.